HATRED BREEDS HATRED: WHO’S BETTER NOW!? 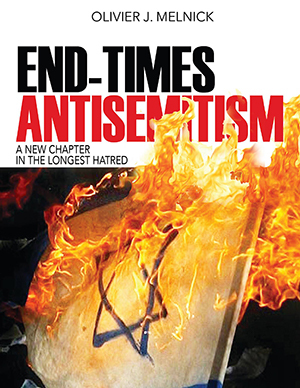 You are here: Home / Antisemitism / HATRED BREEDS HATRED: WHO’S BETTER NOW!? Two recent events have prompted me to write this article as I always seek to educate those around me (physically and virtually). It is so much easier to get on my “holier than thou” soap box and point the finger at the enemy(ies), but we MUST resist the temptation and respond to hate with love, the love of Yeshua the Messiah that is! If we claim that we have the truth and that God lives in us, if we claim that the God of Abraham, Isaac and Jacob is LOVE, then we’d better show that love to those we know are lost and without it. In the case of a Florida church, I am not convinced that their approach to Islam is building rather than burning bridges. The fact is, few if any real bridges exist between Christians and Muslims. It looks to me that some people are stuck in Matthew 5:43 “ You have heard that it was said, ‘ YOU SHALL LOVE YOUR NEIGHBOR, and hate your enemy.’ and didn’t read 5:44 “But I say to you, love your enemies, and pray for those who persecute you”. Responding to hate with more hate is the opposite of what Yeshua told his followers to do. It looks to me like some of us believers in Yeshua need to take a closer look at His Word. On another note but on the same topic, there is a new movie directed by Quentin Tarantino and starring Brad Pitt, titled “Inglorious Basterds”. I must confess that I have not seen and have no intention to see the movie. But after talking to people who did and reading reviews, it appears that the movie focuses on “killing Germans” as some sort of revenge. This can only generate more anti-semitism as it will fuel the hatred that the world already has against Israel and the Jewish people. I lost my own grandfather in Auschwitz after he was taken by the Gestapo from the home where his daughter (my mom) still lives in, near Paris. I guess I have a good reason to hate the Germans. My mother even more so,as they took her dad in front of her eyes when she was only 14. But Yeshua changed me 26 years ago when I invited him to become My Messiah, My Lord and Savior. He loved me enough to die for me, I love Him enough to live for Him and if to live foHim means to love my enemies and pray for them…..